This time around we are folding! Pretty much any kind of card fold little or big. Simple or intricate. You decide. If you have a different idea than the picture…go for it! Here’s the picture that was provided to encourage the thinking and the MOJO. 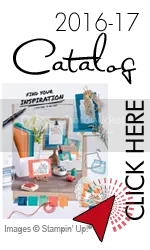 All of that, the need for a card for the challenge plus a real hankering to play with my brand new stamp set Wild About Flowers put me on the road to creativity. I altered Julie’s basic design just a bit. I added an Old Olive mat layer that creates a thin color border between the Pretty Petals designer series paper and that rather intense Pacific Point paper. Hard to see in the photo but noticeable in the real card. 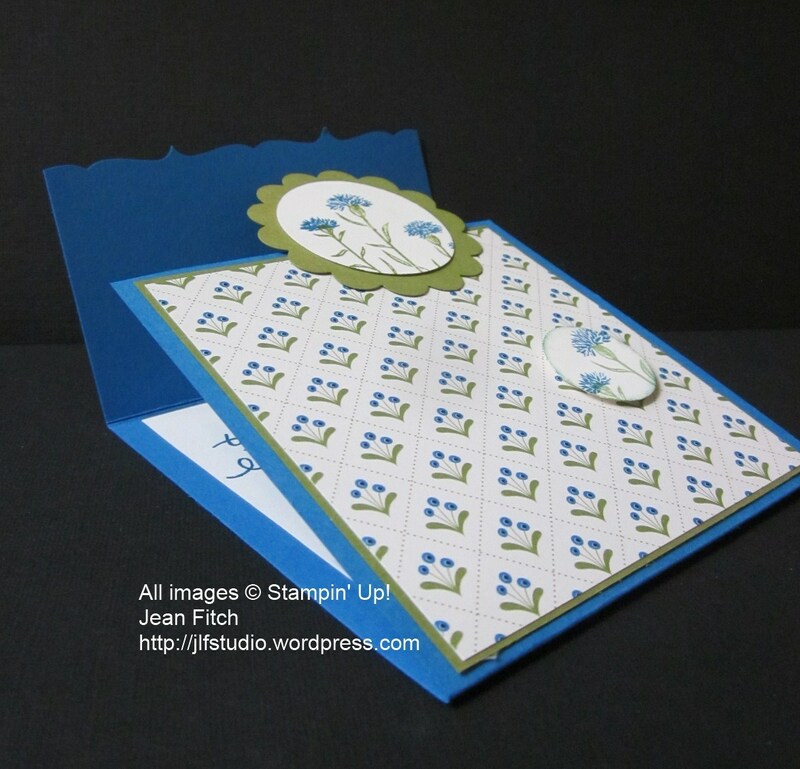 Of course I changed the stamps and the punch border but the rest is pretty much Julie’s design. Now that I’ve done the basic design I have a few ideas for a stepped up version so check back. 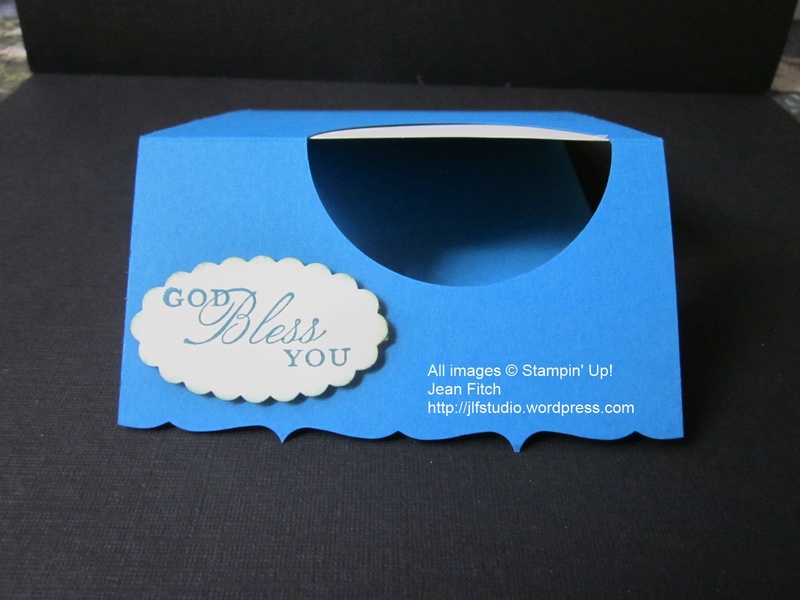 Here are a few other views with the card unfolded. If you don’t recognize the edging tool I used for the front flap…check out your punches. 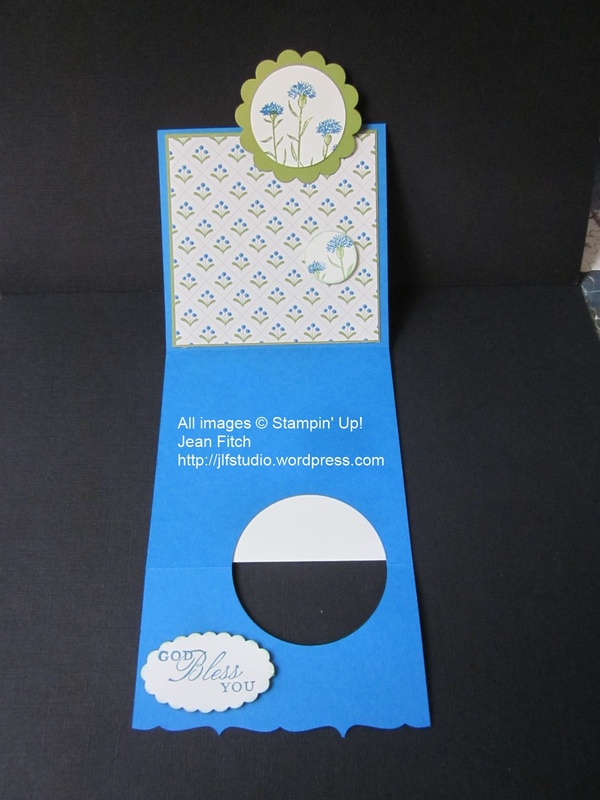 I created the border with the Decorative Label punch. Paper: Pacific Point, Old Olive, Very Vanilla Cardstocks. Pretty Petals Designer Series Paper Stack. 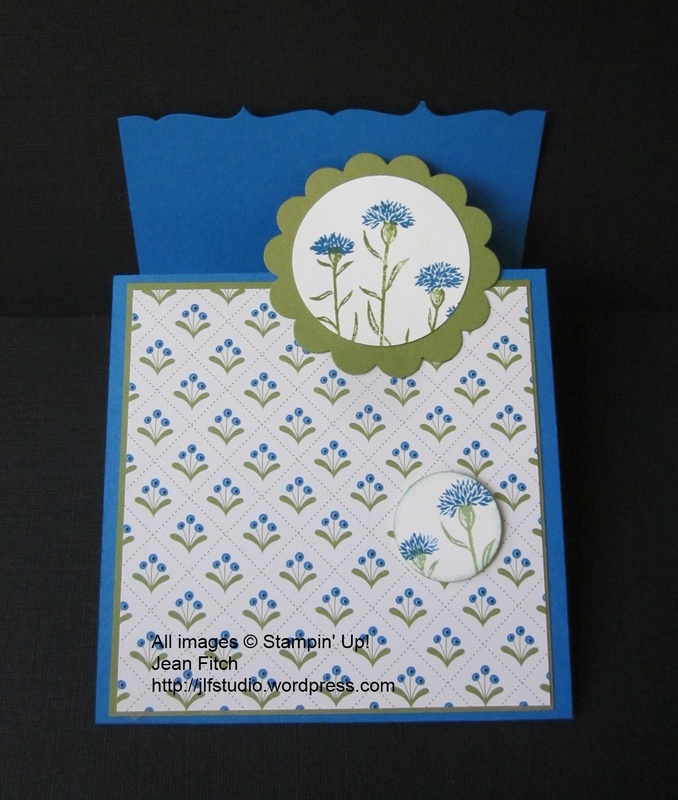 I love the way the design from the Pretty Petals paper stack mimics the cornflower images I selected. I’ve had a scrap of this paper sitting on my desk for a while now so not surprising I opted to use it. I used the flip side to create the vest take out box you saw here. 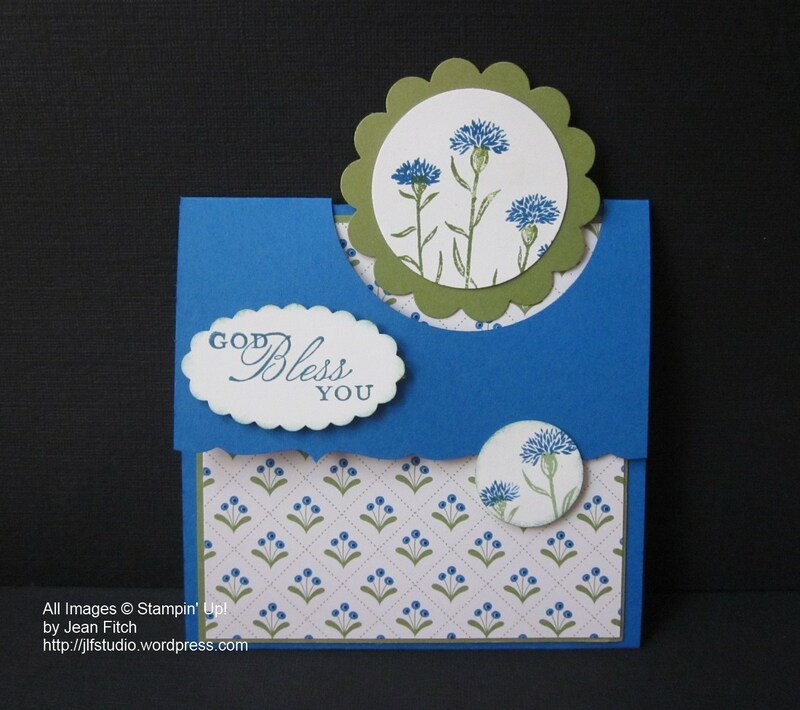 Stampin’ Up does such a wonderful job of giving us papers and stamps that work so well together don’t you think. Not to mention the general coordination of colors across many product types. Love that! Loving the new catalog too! 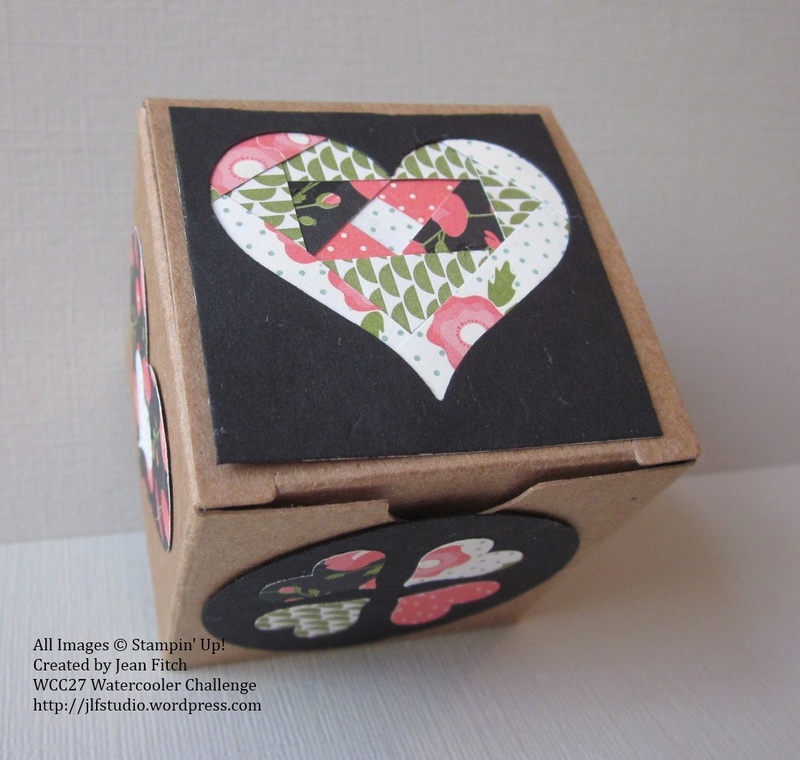 WCC27: Hearts & Folds and a surprisingly full box! Welcome to a new Watercolor Challenge. Jackie has provided us with a wonderful (and yes a bit challenging) technique to work with. 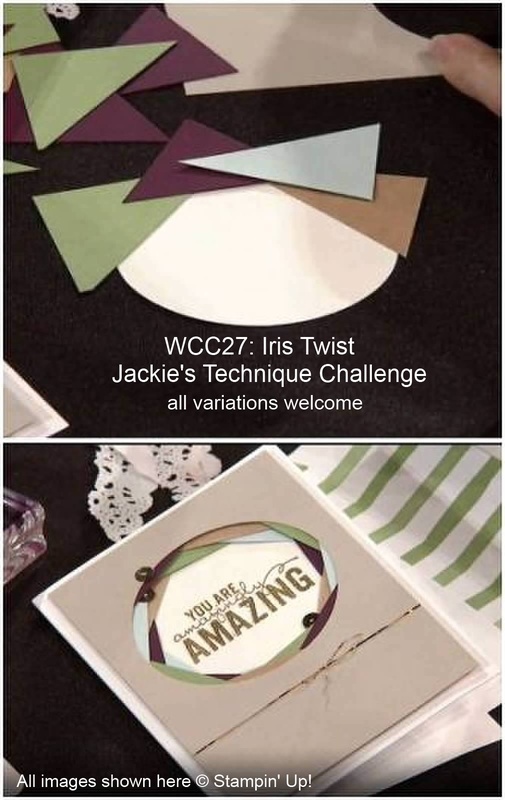 Today’s challenge is a “twist” on the original Iris Fold technique. I’m overjoyed at that since it’s a tad easier and gives us more than a few options. As you’ve likely seen (on the challenge blog) we’re, most of us, choosing a faux version or “twisted” version. And trust me when I say…many of us were stretching to twist our brains around this version of the technique simple as it really is. Here’s my version of Jackie’s wonderful technique challenge. I decided to work with a small 3-D canvas. Fun but requires a high degree of dexterity…and an ability to work with gluey fingers! 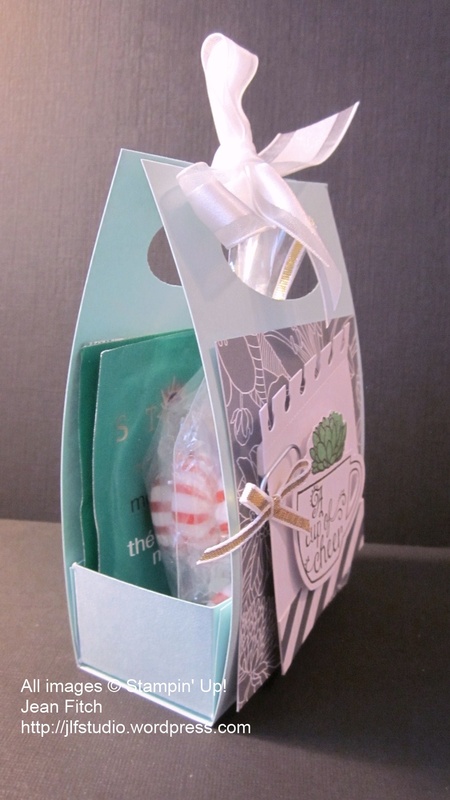 Hard to believe from the picture that this is a little 2″x2″ mini treat box. 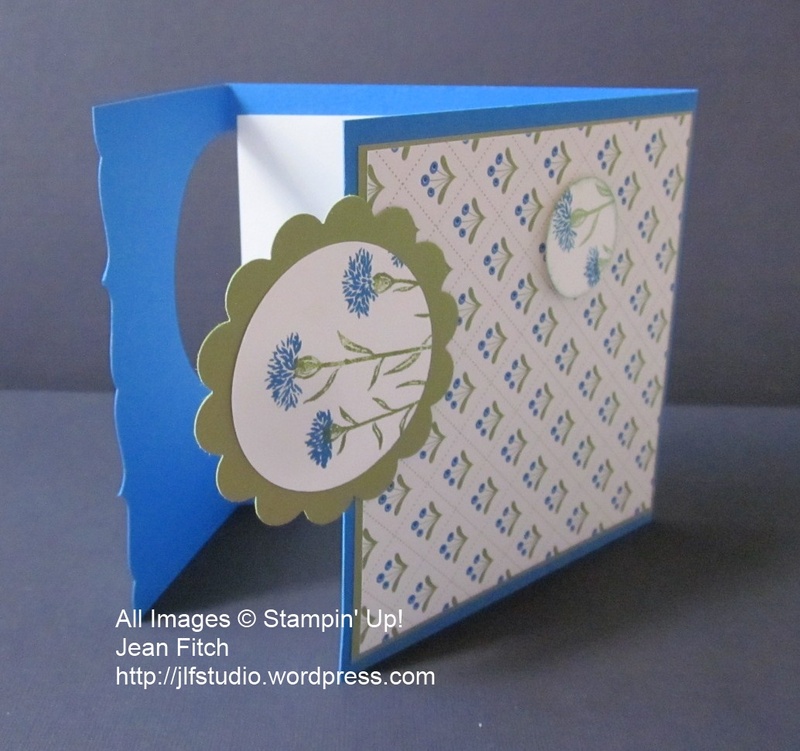 And with a hidden prize inside….an accordion fold card insert! Can you believe that all fit inside such a tiny box? Side views and more. Click on the picture for a larger view. One of the things I love about this project is that the simplicity of the outer shell gives no hint of the play of color and folds to be found inside. My twist on a Shaker or Amish look outside and a riot of a slightly more vintage color and style inside. 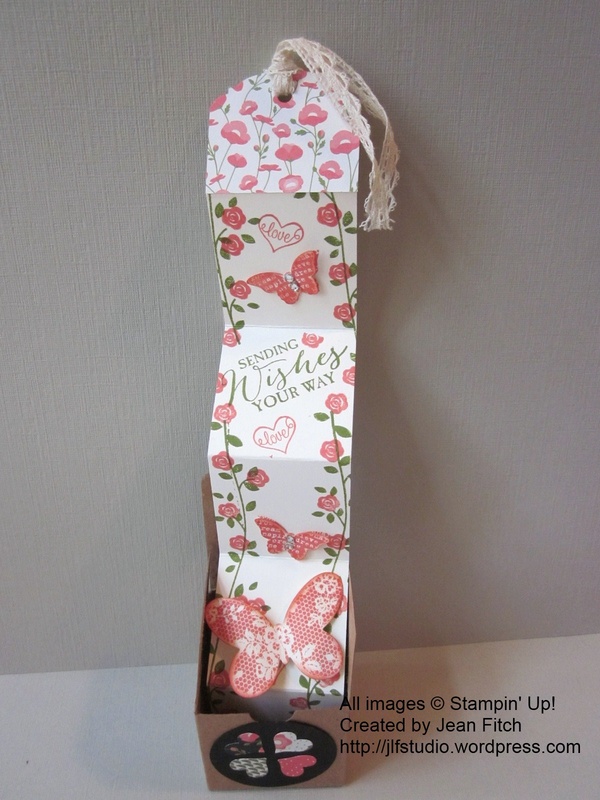 Most boxes of this type have the thread or ribbon showing outside…I decided to hide the full surprise inside the box…like a jack in the box with the lace ribbon swirled at the top to provide a pull up handle. 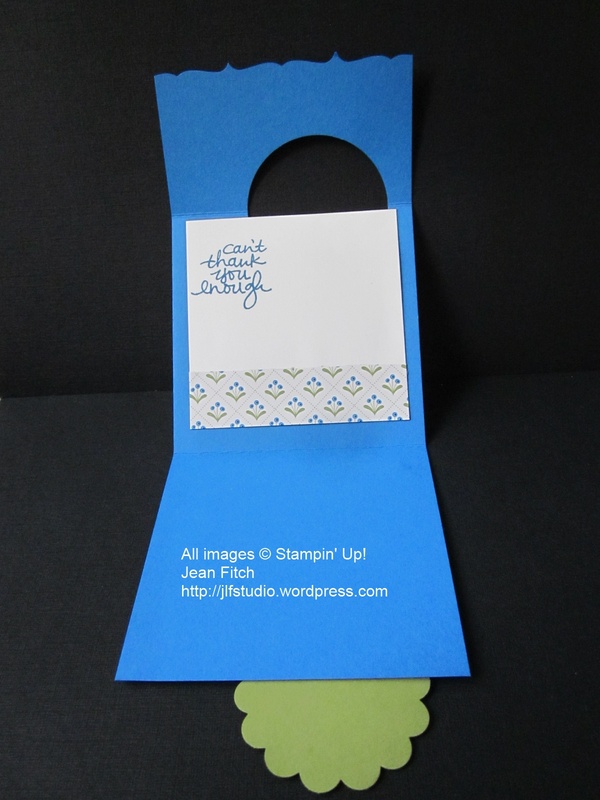 Another nice thing about this colorful design…I have lots of room on the backside of the accordion card insert to hand write or further stamp a personalized note. Hm…should I put a note in there for the person to pull it out and turn it over do you think? Tip: You can fit larger die cuts into a smaller space if you use your bone folder. The small lace look butterfly die cut was actually too big for the tiny treat box and the accordion fold strip…until…I curled the wings and locked them more or less in place with a double (next time I’ll use triple) set of stacked dimensionals. One further note: I CASE’d the basic idea and measurements from this post and video by Sarah-Jane Rae and added my own touches as well as the challenge technique. 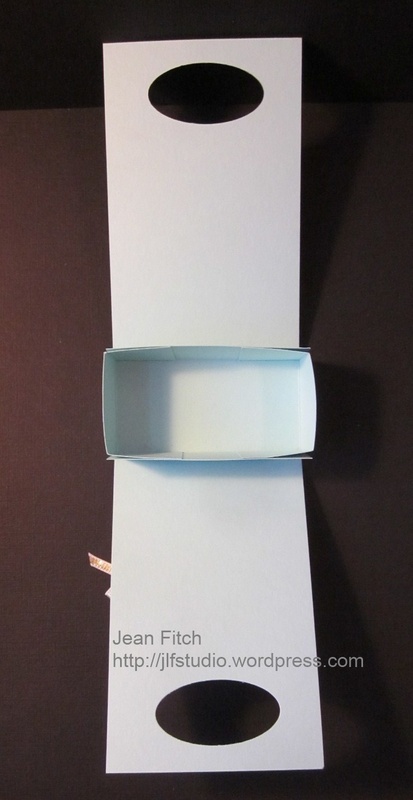 The concept of accordion cards inside boxes has been around for ages but Sarah-Janes video is really wonderful for this particular design so I encourage you to watch the video and check out her blog for other wonderfully creative ideas. I know I’ll be making many of these in the days to come…they are really addicting. Of course…they may not all be Iris Twist versions. LOL. For a faux version…here’s a video similar to the technique that I used – https://youtu.be/IjmmEE5WmjU I hope this video in particular will convince you that this really is a fairly simple technique that gives a big bang visually. You’ll see their patterns all over Pinterest and other sources and community boards. 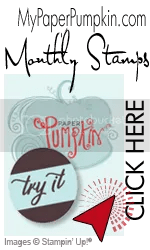 Of course being a Stampin’ up demonstrator I had to see what people in my own community were doing and the Stampin’ Up papers they were using. A few years ago I came across this very helpful post by fellow demo Anne Hayward. It shows a variety of styles and templates and is followed up by a wonderful video on the traditional method she is teaching. At this point in time it’s a tad dated as to papers, etc. but still the real deal with great tips and examples. Scroll on down to the bottom of her posts for the video. 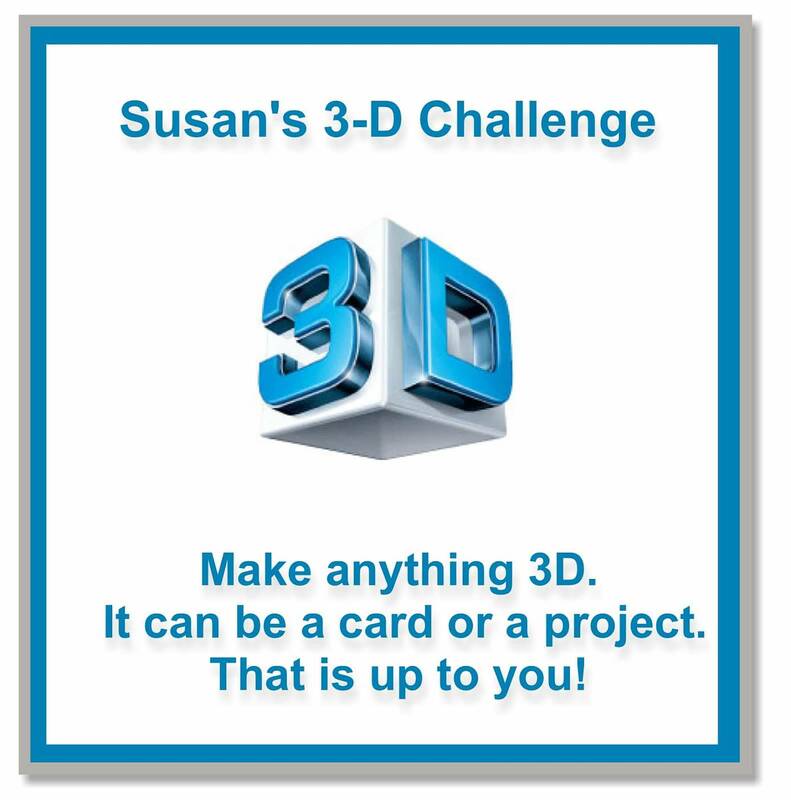 Join the rest of the design team over at the Challenge Blog website here to see the rest of the teams designs and to add your own version with the linky doodad. When you add your own design and there are more than three entries, one of you will be a challenge winner and have the option to place the winner’s badge on your own site. Of course…you’ll also win bragging rights! That’s it for this challenge. 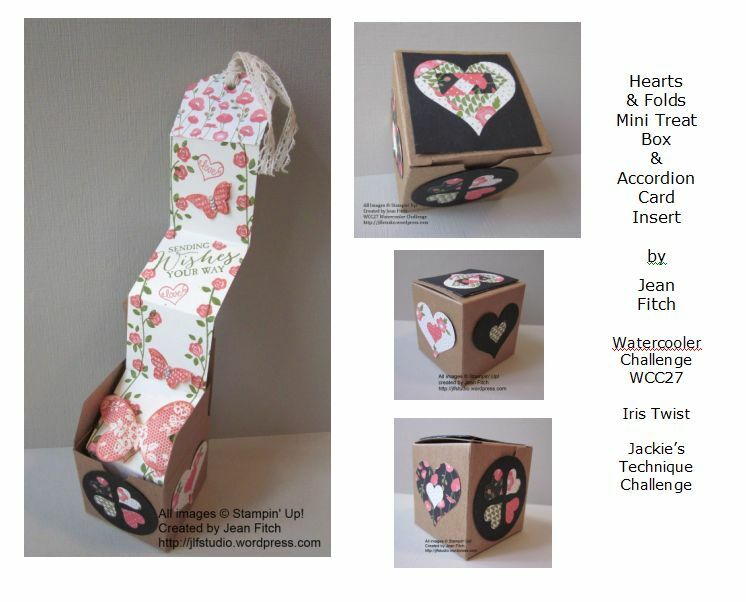 Check out the last challenges winner for the linky added projects. We had a wonderful set of 7 submissions so we were able to award the prize (three are required to award a prize). I hope this time around you’ll join in the fun and grab a friend or two as well and get creating! Check the challenge site for rules on competing for this and future challenges. The official start of summer is just a few short days away. Well alright…more like a week. But hey…Mother Nature has been getting in some practice in my neck of the woods with an early start on turning grass to hay and soaring temperatures. 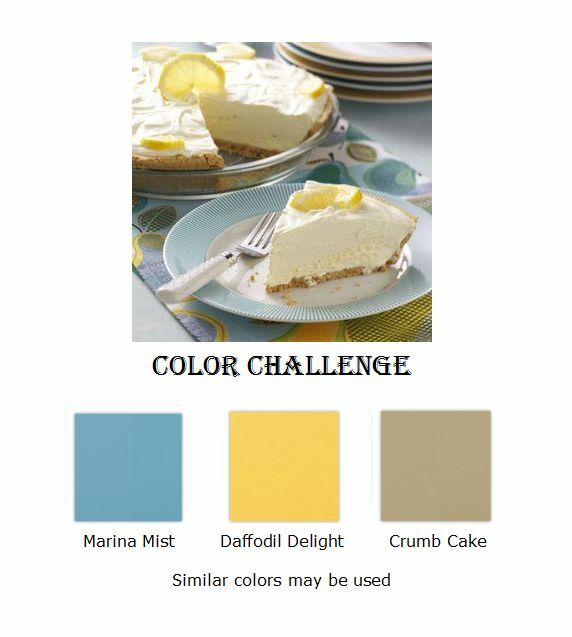 So I thought…what better time for lemonade pie and colors that will also work for Father’s Day…also coming up in a hurry. Check it out. Isn’t that pie scrumptious? I like the china plate and the table runner too! If you want to make the pie…here’s the recipe link If you want to play along…check out the information at the bottom of the post. 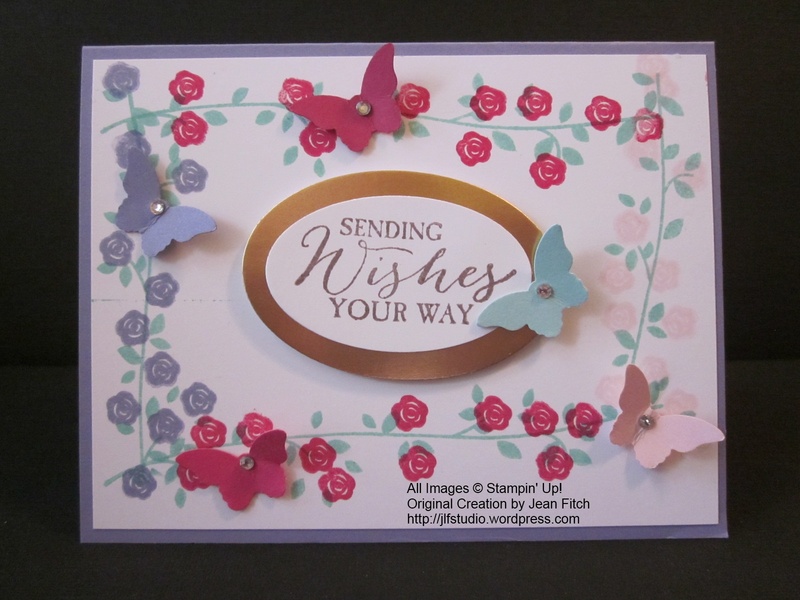 Here’s my version…non edible but it has soft and fluttering butterfly embossing, a cool trick with the Note Tag punch from Stampin’ Up and a few other yummy bits and pieces. Best of all…whether it’s given for Father’s Day or another occasion…it tells the recipient how much they are loved. Click the picture to see all the detail close up. I wish this design had shown off the very cool Fluttering folder a bit better. Perhaps I need to sponge some color onto the layer to show off the wings. This new and very cool folder is a new 6″ x 6″ size and trust me when I say…you are going to love it and want it. The new catalog is all about the butterflies this year. Well…cake and cupcakes makes it in too…and of course trees, flowers…and more. 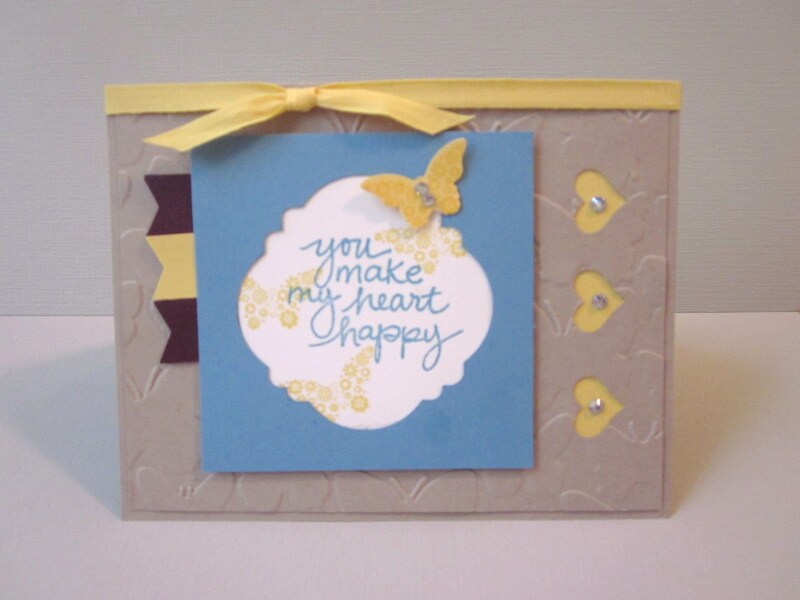 But really…look at the butterflies…that’s a big trend…and I’m loving it!! The newish cotton ribbon is pretty cool too. Soft, silky and very easy to tie. Yes it was in last years catalog but somehow I never got around to trying or discovering it. Yep…I do foolish things sometimes. If you don’t want to follow in that path…try it! ’nuff said. Tool tips: Note Tag punch does more than tags. Are you wondering what die was used to create the window layer? No die…it’s the Note Tag punch! Brenda Quintana has a fun video showing how to create this window and others. I used a square of 3-1/4″ for mine. Fabulous Phrases – more goodies from the Llama Blog Hop! AND…we have another hop scheduled for October 22nd that will feature various holiday projects from Thanksgiving to Chinese New Years and any other holiday that enters our wild and wooly llama thoughts. So stay tuned for more llama fun and inspiration. In my hop post here in addition to the birdhouse template and directions I shared yesterday I showed you what can be done with Stampin’ Up’s Fabulous Phrases stamp set and the birdhouses. As I started building more houses I needed more ideas for what other word or phrase I could use so I returned to the stamp set and discovered a fun new game. Whether you use them together or apart these words add a lot to any project. How many phrases do you see? 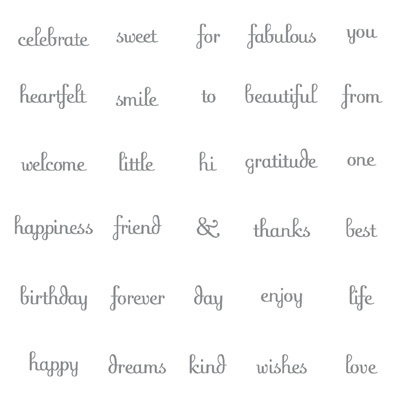 And here’s another hint….with selective inking you can create more words from what you see here. Get your pen and pencil out and join in the fun then download my list (or just scroll down). Now that you’ve tried it here’s what I’ve come up with. Though I must admit…I’m still seeing new and fun bits every day the more I think about it. Hope you enjoyed the game. I bet you’ll never look at a set of words the same way again! Bet this also makes this set seem much more reasonably priced too! Feel free to click on over to my online store and order your own set today! And if you come up with more phrases or words built from these I’d love to hear from you so I can expand my list! Don’t you love that Earth Day this year falls on Frugal Friday…well Frugal in my blogging world anyway! 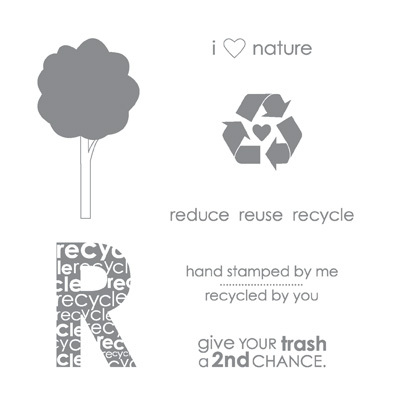 Thought I would share a few of my favorite images, some tips and a fun stamp set I’ve come across and a flyer I created sometime back to share with people the ways in which Stampin’ Up works to protect the Earth and her resources. BTW…as women…don’t you love that the Earth is generally referred to with the feminine pronoun! Women have so many opportunities to take the lead in recycling, reusing and…of course…reducing…LOL. Actually I was thinking of the reducing of what goes into the waste stream since women are the main shoppers for the household. Though of course reducing our own weight as well as our carbon footprint is probably good for the planet too! 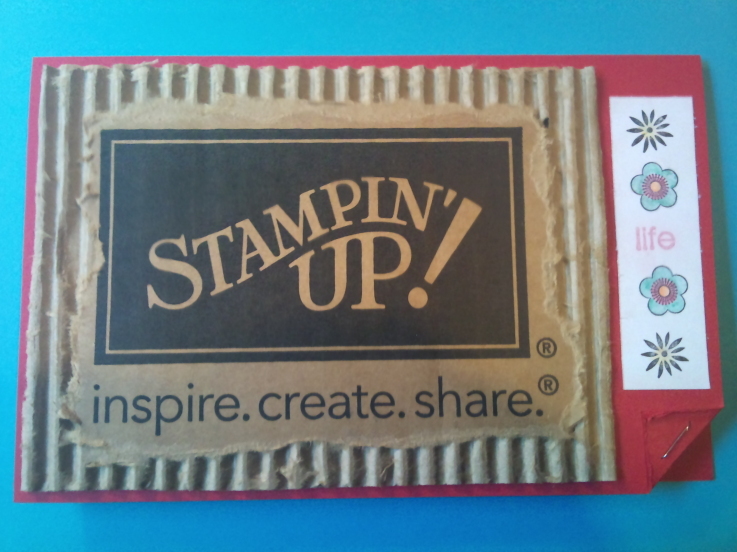 Awhile back Stampin’ Up ran a contest for new demo’s to encourage them to use whatever came in their starter kit. Here’s one of my favorites shared on our SU Demo Showcase. 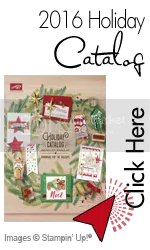 Elisha Johnson literally used the box and on another card she used an order form in place of DSP! I’ve reused the brown paper and other packing materials but can’t say I ever considered the box itself! 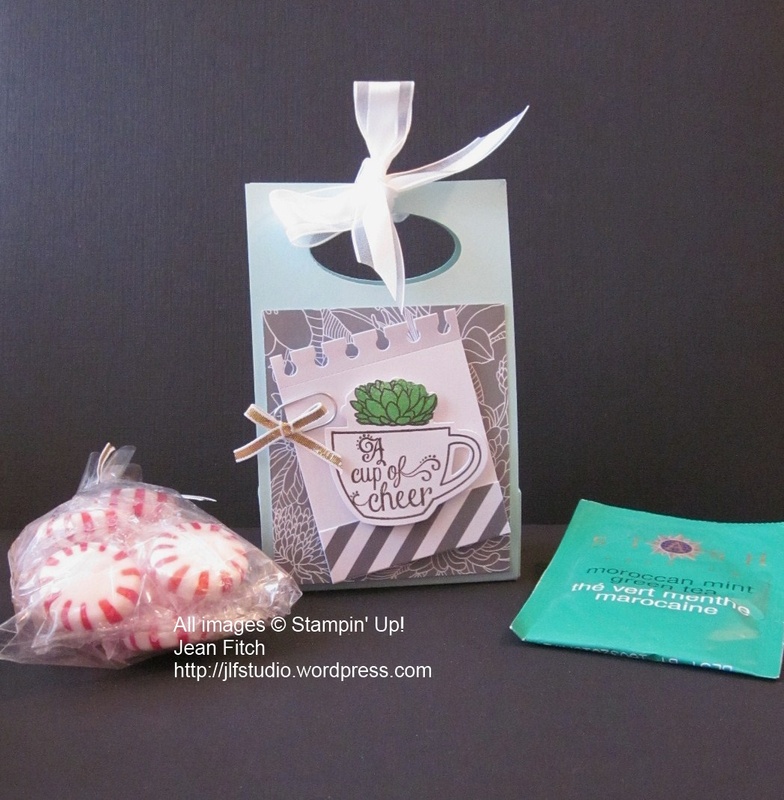 My favorite “Chia Earth” in Stampin’ Up’s Pear Pizzazz! Reusable card tip: When I send out cards to customers and other demo friends I put my own message on a post it note inside the card then they have the option to keep it all together or reuse the card for their own purposes. Earth day has always been a special day for me for a number of reasons. 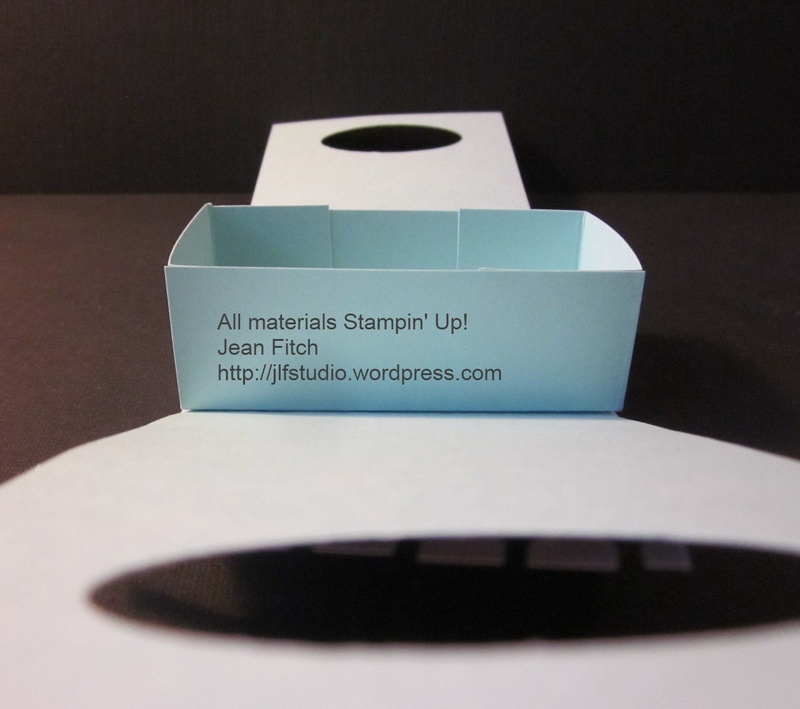 As a kid I loved to repurpose boxes into imaginary space ships, race cars and of course my very own first apartments for the truly large boxes – so getting permission to do so and be ecologically sound later as an adult just added to the fun. That and having a good excuse to walk beaches (cleaning up), roadsides (cleaning up) as well as grabbing things to use for my crafts just seemed all that much better too. Then later I discovered April 22 was the day my late husband was born so that alone made it a pretty special date. He was always convinced that date for Earth Day was specially chosen with him in mind…hee,hee,hee. Well he was an early conservationist, Boy Scout and neat freak who prided himself on being a minimalist (until his computer phase that is!). Even before we were officially dating we did things together on that day to celebrate the earth and make it a better place – of course in my on head… time spent with a cute guy doing good was fun in itself. Later after we were married we set up neighborhood recycling stations in our garage and had neighborhood block parties with the funds received which improved the relations throughout the neighborhood as people got to know and care about each other. Eventually curbside recycling came along but the parties still continued. And of course we integrated green living principles as much as possible into our daily lives…most in such small ways it was barely noticeable and rarely uncomfortable. Choosing recyclable packaging, natural biodegradable fibers and materials, combining errands into a single trip and so on. 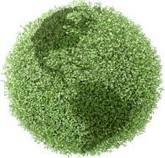 Making the earth more comfortable can make you comfortable too and save you money into the bargain. Adding the right green indoor plants can improve your home and office air quality and reduce your medical bills as well as lengthen the time on your various furnace and other filters. Reducing spending for non essentials can allow you to redirect those dollars into charities, fun time with family, better quality more efficient goods, more stamps of course (those are essential right?) and on and on. Stephen may be on to greener Heavenly pastures but the lessons we learned together still improve my life and home, neighborhood and hopefully the planet in some small way. Lastly I thought I’d share the following I came across when trolling the net. Hugs, blessings and have a happy Earth Day. 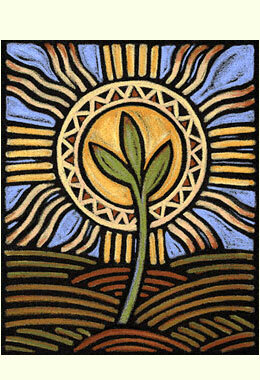 Oh and even though Earth Day is officially April 22nd….feel free to make everyday….Earth Day!